One of the greatest sea captains of all time, Drake was born in Devonshire, England around 1540 and first took to the seas at the age of 12 or 13. He was to become a successful privateer and talented navigator. 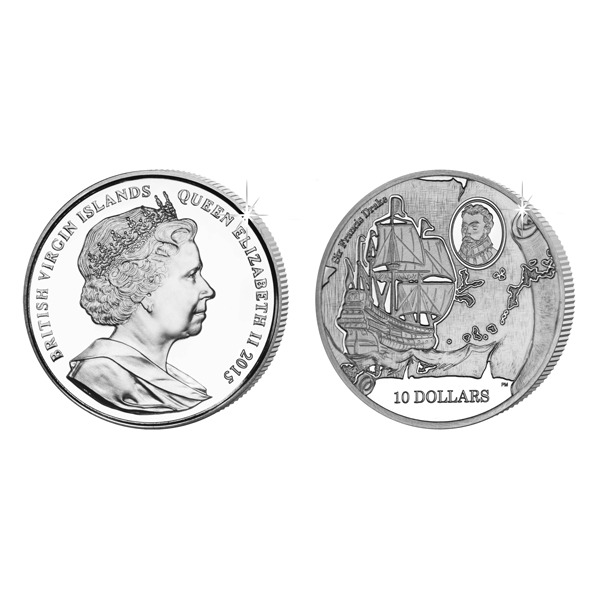 The design on the coin features a map in the background of the British Virgin Islands with an image of the ship Defiance heading through what is now known as the Sir Francis Drake Channel. A cameo portrait of Drake is also shown. The obverse of the coin carries an effigy of Queen Elizabeth II by Ian Rank-Broadley FRBS. 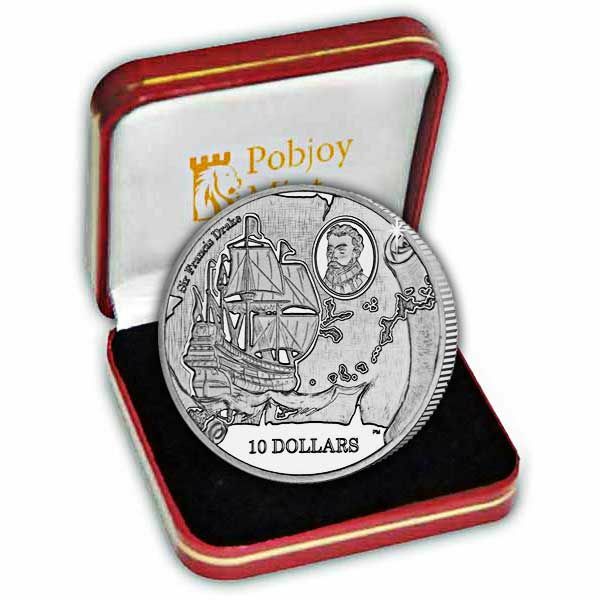 Available here in Proof Sterling Silver and also in Cupro Nickel, each coin is detailed to perfection with the precious metal versions being struck four times to attain the highest quality ‘proof’ finish.